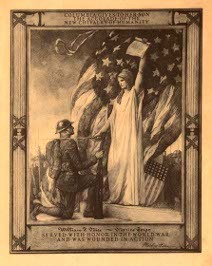 DAV Chapter #1 has been maintained by volunteers since 1921. Our Chapter Service Officers (CSO) help other veterans and family members make VA claims. Every Chapter Service Officer must attend regular training and certification every year. This is where the majority of our chapter spending goes, training and supporting the Service Officers so they can help as many veterans as possible. The more qualified service officers we have in our program, the more veterans we can help. We assist veterans in submitting the application for VA benefits and provide guidance in the process that follows. Not all medical conditions interfere with life or employment, and not conditions are visible, let alone obvious. We are dedicated to providing the best possible help the veterans need. Tacoma Chapter No. 1 meets at 2:00 PM on the first Wednesday of each month. The building will be open at 1:30pm to prepare and we usually have at least one Service Officer available for questions or help on VA claims. Please contact DAV Chapter No. 1 at 253-752-2970 to get on the volunteer schedule. Most of our funding comes from our Forget Me Not drives around Memorial Day. DAV members and their families will setup in public places on and off base to raise donations by offering a Forget Me Not flower to each person. This represents DAV commitment to remember those who have given their lives to the service and protection of their families and this nation. All gifts, grants, and donations to any branch of DAV are tax deductible as charitable contributions under section 170(c)(3) of title 26 USC, the Internal Revenue code. Our IRS letters are available upon request. We are not government funded and we do not charge any veterans for our services. We do not operate clubs, bars or bingo halls in any of our buildings in Washington. We do provide service offices to help veterans in most of our chapter offices.